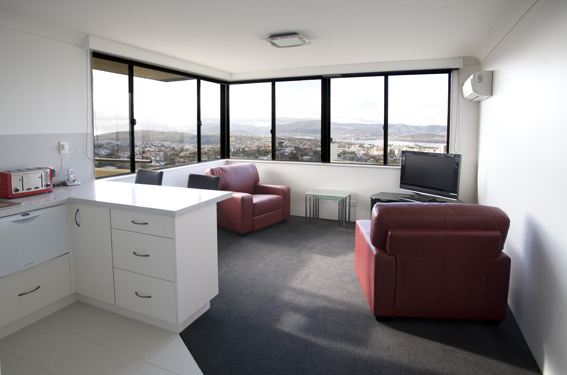 Barclay's Hobart offers a luxury fully self-contained penthouse apartment with outstanding views over Hobart and the River Derwent. 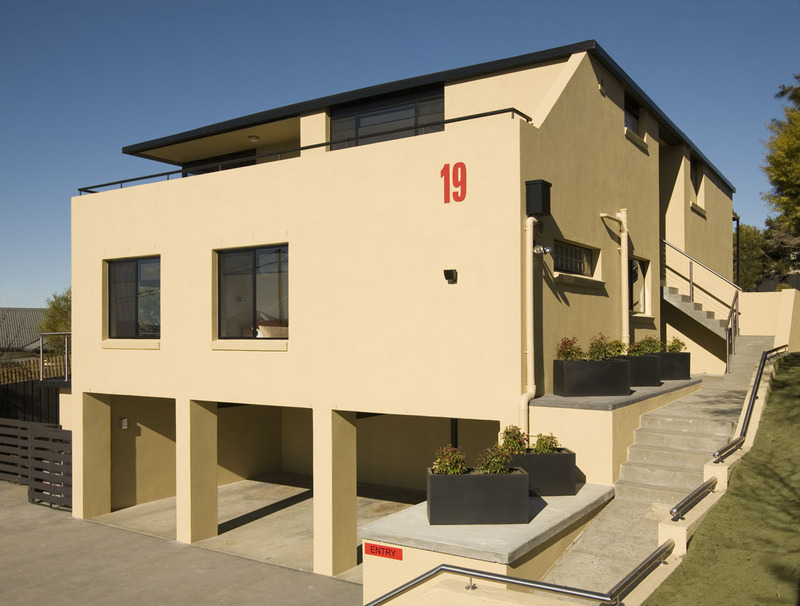 Located in a quiet cul-de-sac in West Hobart, two kilometres up from the Hobart GPO, the apartment includes a queen bed, fully-equipped kitchen(gas cooktop), reverse-cycle heating, free wireless broadband internet, Austar television and concealed laundry. Off-street under cover parking is available and keyless entry provides added security.The living area has two incliner leather chairs and a small dining table. Other features include a large flat screen television, dvd/video combo, MP3 compatible CD stereo system and telephone with free local calls. The One Bedroom Penthouse comprises a queen bed and has extensive river views which can be enjoyed from the living room or expansive balcony. One Bedroom Penthouse with Queen bed. Fantastic views of Hobart and the River Derwent. Includes complimentary port snd chocolates and free undercoveer parking.